The largest country in South America and the biggest Portuguese-speaking nation in the world, Brazil remains best known for its soccer tradition and annual Carnaval. 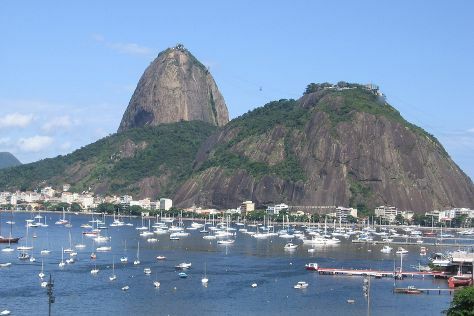 Most visitors on holiday in Brazil come for the country's outstanding beaches, music, wildlife, and diverse neighborhoods, each one boasting its own distinct character, atmosphere, and way of life. A tour of Brazil reveals a vast land of great natural and human diversity, from its sprawling rainforest wildernesses, to its busy urban centers. There are plenty of things to do in Brazil, from basking on its coastline to chasing the samba scene or catching a picturesque sunset from one of the country's lush mountaintops. Brazil is in South America. Whether you only want to go to Brazil, or have a whole adventure planned, Inspirock has you covered with our user-friendly Brazil trip planner.